The little girl came into the world yesterday,Tuesday, May 9th in Atlanta, US. 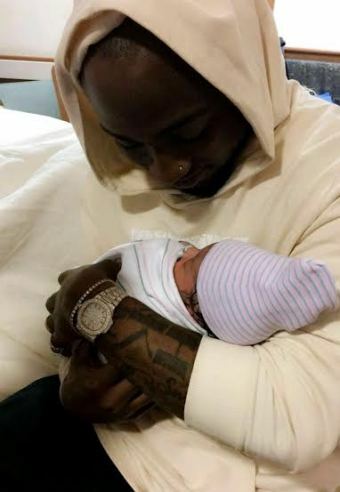 OBO,Davido shared first photo of the new baby on his social media page. 0 Response to "See First Photo Of Davido's Newborn Daughter, Hailey Adeleke"